Social foraging behavior of Escherichia coli bacteria has recently been explored to develop a novel algorithm for distributed optimization and control. The Bacterial Foraging Optimization Algorithm (BFOA), as it is called now, is currently gaining popularity in the community of researchers, for its effectiveness in solving certain difficult real-world optimization problems. Until now, very little research work has been undertaken to improve the convergence speed and accuracy of the basic BFOA over multi-modal fitness landscapes. 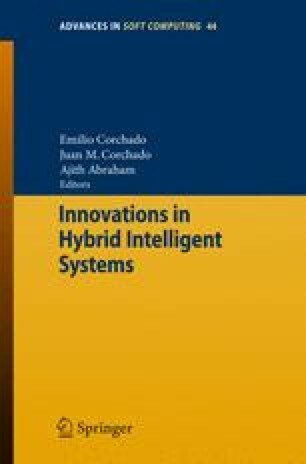 This article comes up with a hybrid approach involving Particle Swarm Optimization (PSO) and BFOA algorithm for optimizing multi-modal and high dimensional functions. The proposed hybrid algorithm has been extensively compared with the original BFOA algorithm, the classical g_best PSO algorithm and a state of the art version of the PSO. The new method is shown to be statistically significantly better on a five-function test-bed and one difficult engineering optimization problem of spread spectrum radar poly-phase code design.